If you liked the classically styled GV2 Apulia, you’re going to love the new Apulia Chronograph. It didn’t take fashion forward women long to discover the sophisticated appeal of having a GV2 Apulia on their wrist. 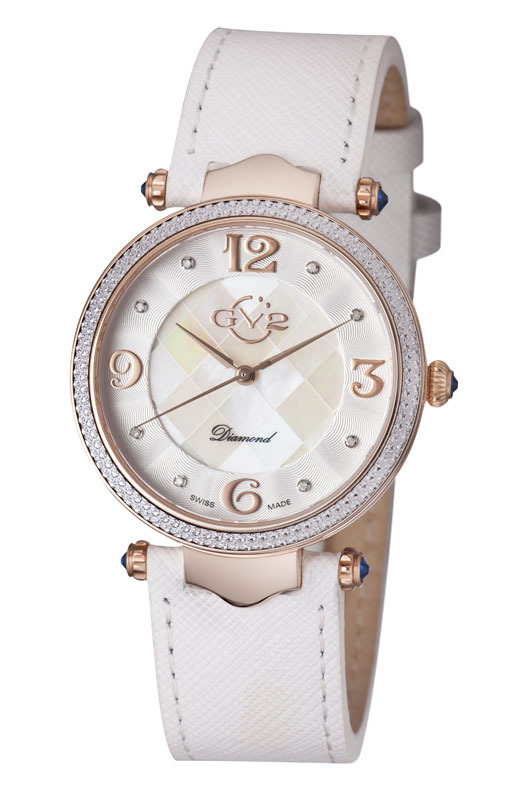 The understated elegance of this 37 mm ladies’ timepiece added something extra to just about any outfit. 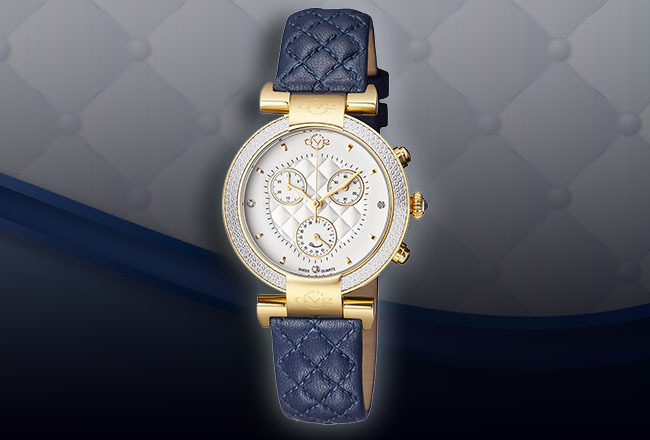 Now fashionistas have a new reason to celebrate, with the addition of a spectacular chronograph to the Apulia family. The GV2 Apulia Chronograph maintains the same size and proportions that made the original Apulia so popular. 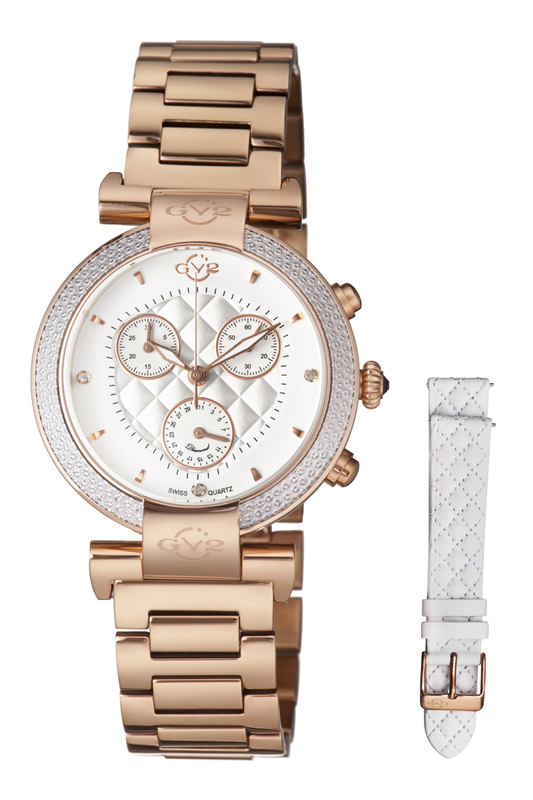 This 37 mm timepiece is perfectly sized for a woman’s wrist. Many of the Apulia’s distinguishing features, including the beautiful quilted dial, diamond indices, fluted cabochon tipped crown, and glittering diamond cut bezel are continued on the chronograph models. 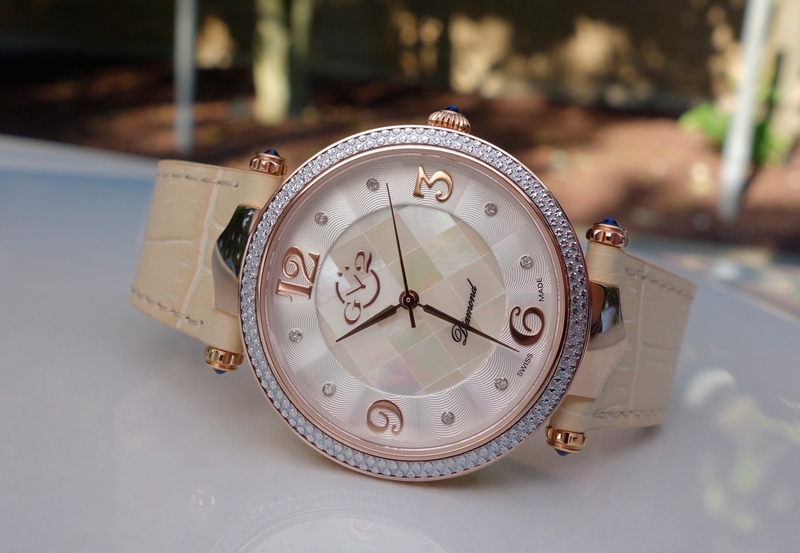 An antireflective, scratch resistant sapphire crystal protects the beautiful dial. Like all GV2 timepieces, the Apulia Chronograph is protected by a two-year manufacturer’s warranty and comes in a beautiful presentation box with instructions and warranty. Six different chronograph models are available, including stainless steel, IP rose gold, IP yellow gold, and two tone editions. 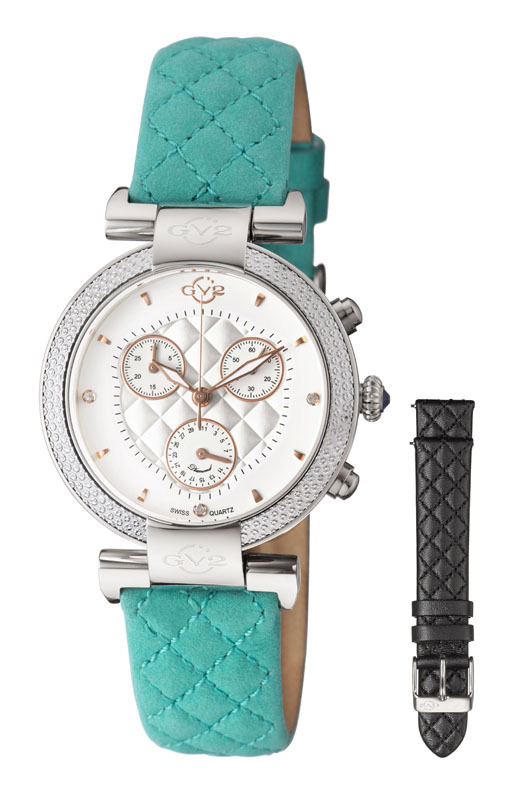 The Apulia Chronograph can be fitted with a matching stainless steel link bracelet secured by a butterfly clasp or a high quality black, white, blue, green or tan quilted leather strap. 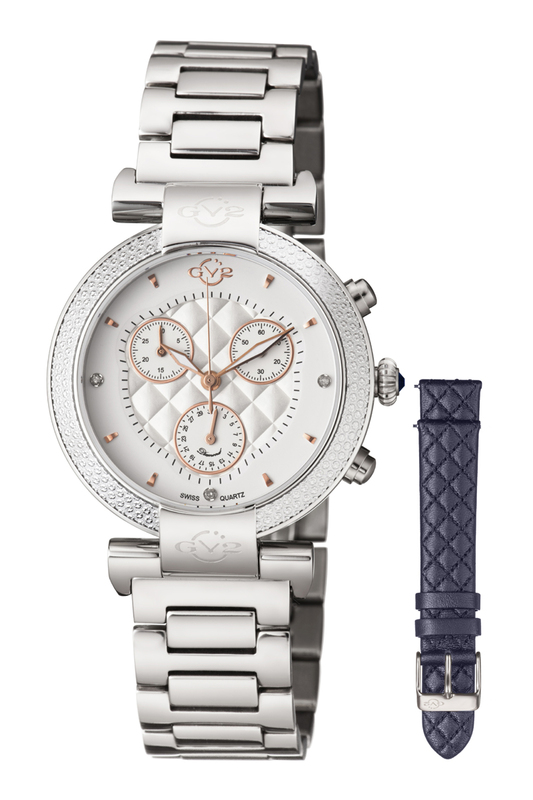 With so many available options, the GV2 Apulia Chronograph is perfect for both dress and casual occasions. If you like the additional functionality a chronograph provides, but don’t want to give up the sophisticated style of the three-hand model, the Apulia Chronograph is the watch for you. To see what one of these beauties looks like on your wrist, contact your authorized GV2 dealer immediately and ask to see the entire Apulia Chronograph Collection. The beautiful palazzi and elegant neoclassical architecture of Sardinia’s second largest city provide the inspiration for an elegant new GV2 timepiece. Sassari, located on the Italian island of Sardinia, is well known for it’s unique art, culture and history. The rich cultural heritage of this historic city provided the inspiration for GV2’s spectacular new Sassari Collection. The timeless design of this 37 mm women’s timepiece features a lustrous mother of pearl mosaic at the center of a dial resplendent with an intricate Guilloché chapter ring surrounded by a dazzling diamond cut stainless steel bezel. Eight genuine diamonds serve as indices, alternating with raised Arabic numbers at 12, 3, 6, and 9 o’clock. A fluted setting crown at 3 o’clock and the sides of the lugs have been topped with precious blue cabochons to complete the inspired design of this elegant three-hand configuration. An antireflective scratch resistant sapphire crystal protects the exquisite dial and the perfectly proportioned stainless steel case is water resistant to 99 feet. The Sassari is powered by a premium Swiss made Ronda 763 quartz movement, and like all GV2 timepieces, is protected by a two-year manufacturer’s warranty and comes in a beautiful GV2 presentation box with instructions and warranty. 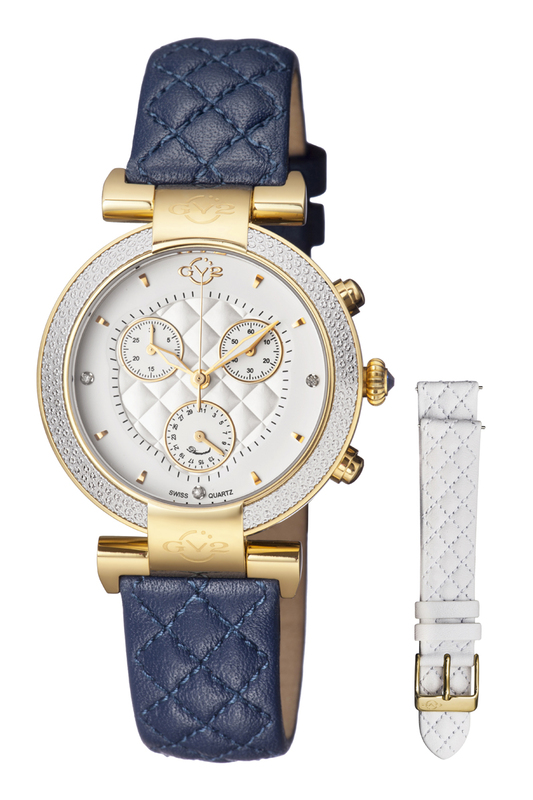 This classically inspired, fashion forward timepiece is available in five different variations, including IP yellow gold and IP rose gold models that can be equipped with a choice of navy blue, black, burgundy, white, or beige textured premium leather straps that are secured with a buckle clasp and attached to the watch using GV2’s distinctive t-shaped lugs. 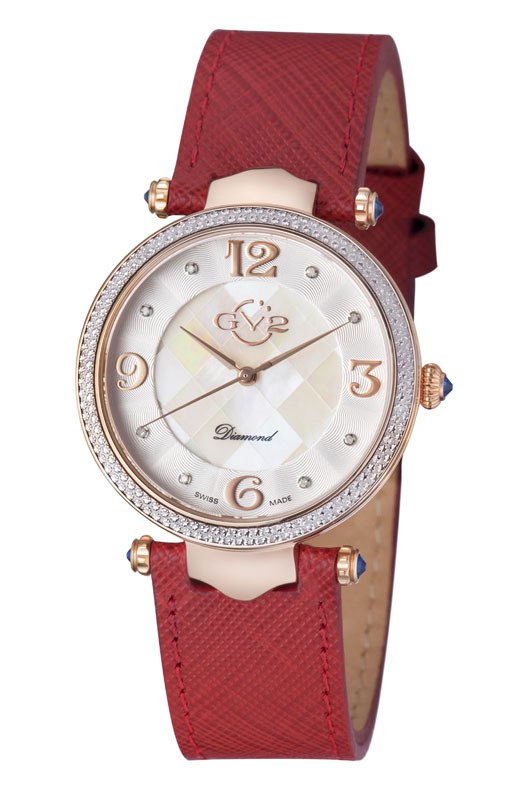 Perfectly sized for a woman’s wrist, this stylish fashion accessory is ideal for dressy occasions as well as casual wear. 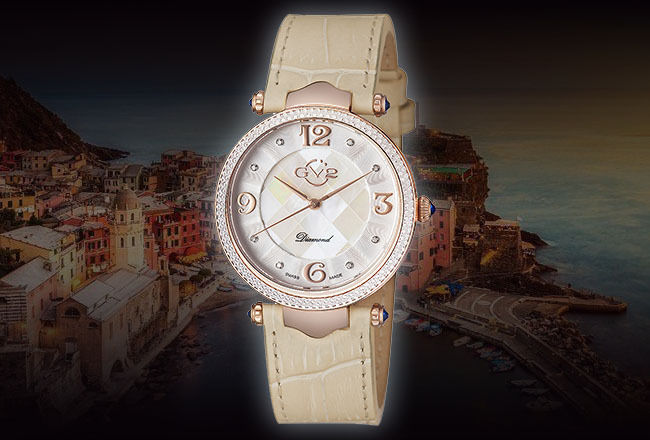 If you’re inspired by the timeless beauty of Italy’s historic cities, you need a GV2 Sassari on your wrist. 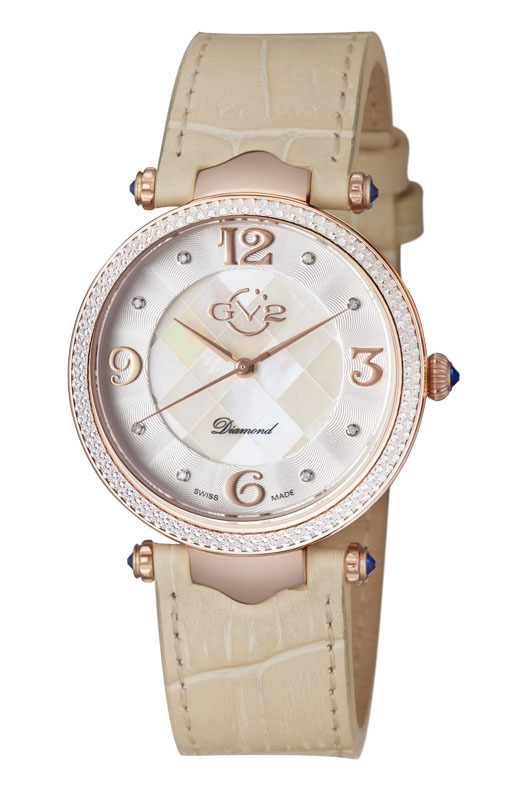 To see how this spectacular timepiece can enhance your wardrobe, contact your authorized GV2 dealer immediately and ask to see the entire Sassari Collection. With two rotating bezels and seven different ways to calculate the time, the GV2 Contasecondi is ready for anything. 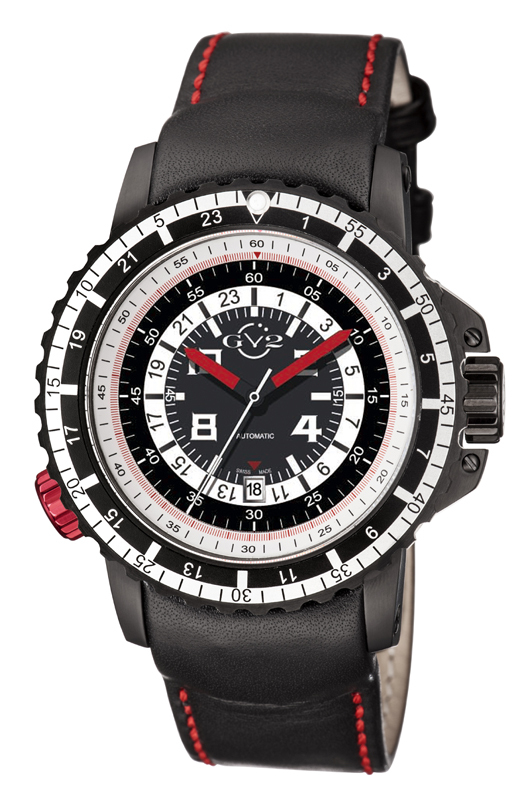 The amazing GV2 Contasecondi provides watch aficionados and sports enthusiasts with an unprecedented variety of ways to measure and calculate the time. This big, bold 47 mm three-hand configuration features a dramatic multi-scale dial with two rotating bezels that facilitate a variety of calculations that would be next to impossible with a conventional timepiece. 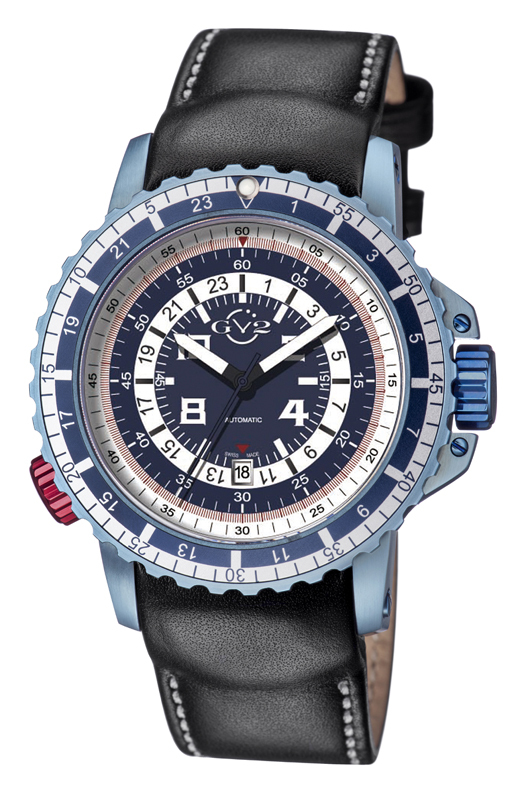 A knurled bidirectional outer bezel is marked with both 24-hour and 60-minute scales. Additionally, there is an inner rotating chapter ring marked with a 60-second scale and controlled by a second setting crown at 7 o’clock. The rotating rings can be operated separately or together for a variety of results. 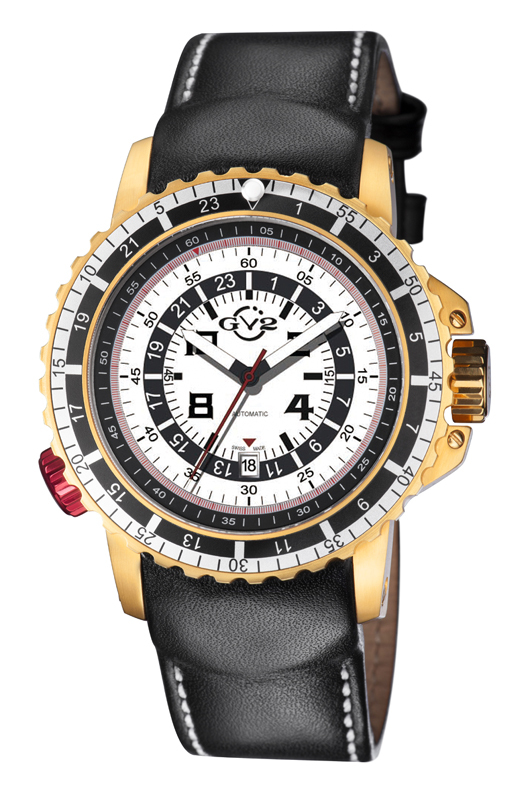 This innovative timepiece is available in four exciting editions, including stainless steel, IP black, blued steel, and IP yellow gold models with matching dial accents. Each of these exceptional timepieces is powered by a precision Swiss made MD3G automatic mechanical movement. An anti-reflective, scratch resistant, sapphire crystal protects the dial and the rugged stainless steel case is water resistant to 165 feet. There is a protected setting crown at three o’clock and a second crown at 7 o’clock that rotates the internal chapter ring scale has been anodized a bright red for easy identification. Completing the informative display is an easy to read date window at 6 o’clock. Each Contasecondi timepiece has been fitted with a premium black leather strap with dramatic topstitching that complements the dial color. 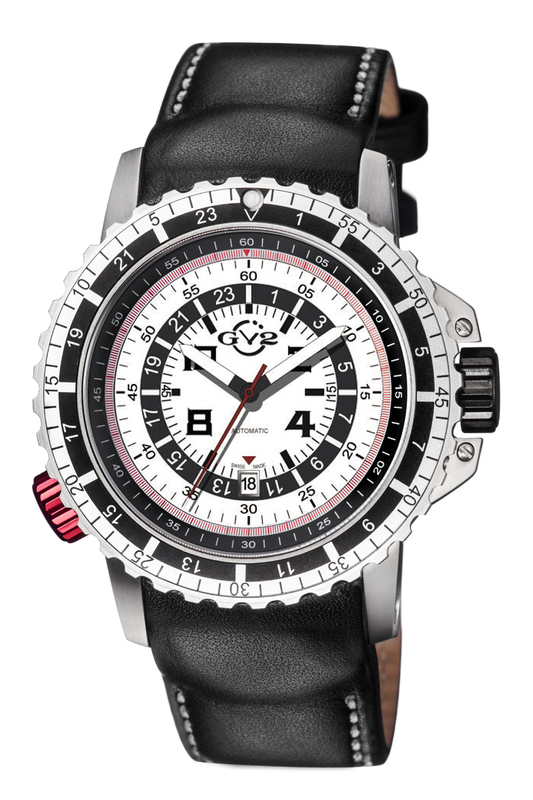 Like all GV2 timepieces, the Contasecondi carries a two-year manufacturer’s warranty and comes in a GV2 presentation box with instructions and warranty. If you’ve been looking for a calculator watch with an attitude, the big, bold Contasecondi is what you’ve been waiting for. 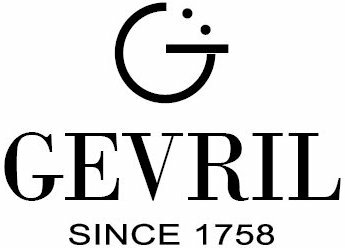 To see what one of these beauties looks like on your wrist, contact your authorized GV2 timepiece dealer immediately and ask to see the entire GV2 Contasecondi Collection. Alberto Ascari’s reputation for precision and accuracy helped make him one of the greatest racing drivers of all time. 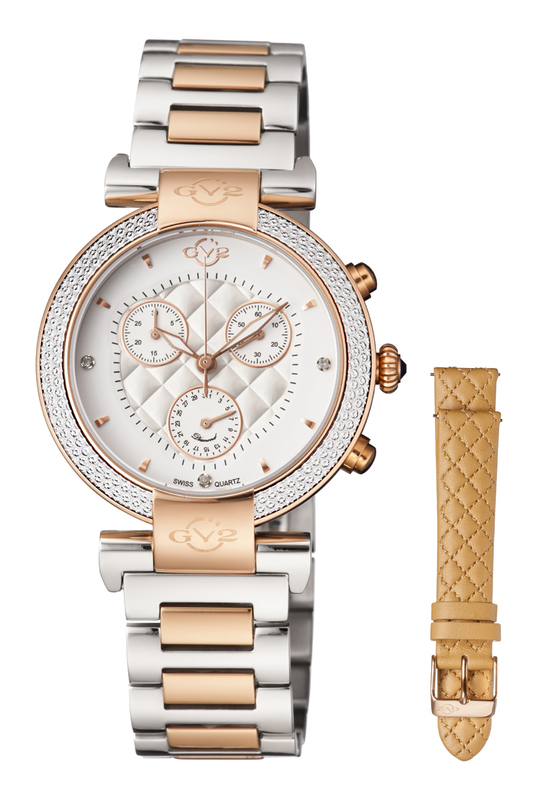 The same attributes help define the superlative Gevril timepiece created in his honor. Alberto Ascari is a racing legend. 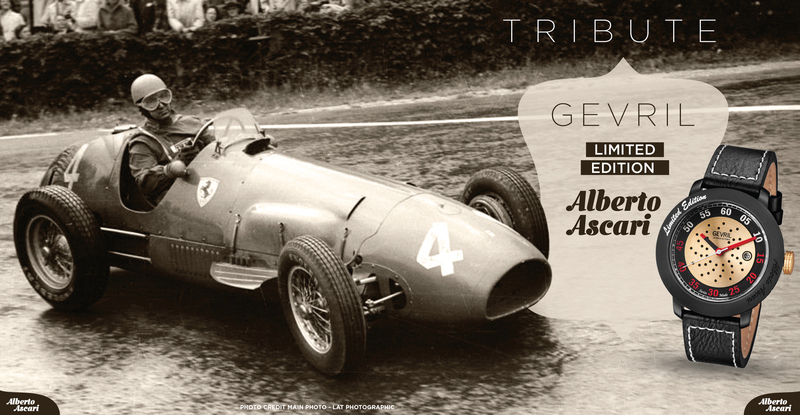 This multitalented Italian driver was a two-time Formula One World Champion with back-to-back titles in 1952 and 1953. He also won the legendary Mille Miglia open road endurance race in 1954 and even competed in the Indianapolis 500. After his untimely death in 1955, Ascari was posthumously inducted into the International Motorsports Hall of Fame and even had a street in Rome named in his honor. It is no surprise that this legendary driver became the inspiration for a unique limited edition timepiece that celebrates his racing heritage. The 48 mm Gevril Alberto Ascari is a masterpiece of Italian design and Swiss watchmaking expertise. The watch is powered by a precision Swiss made MD3G automatic mechanical movement by Ruben & Sons, the atelier of Alberto’s grandson Massimo Ascari. 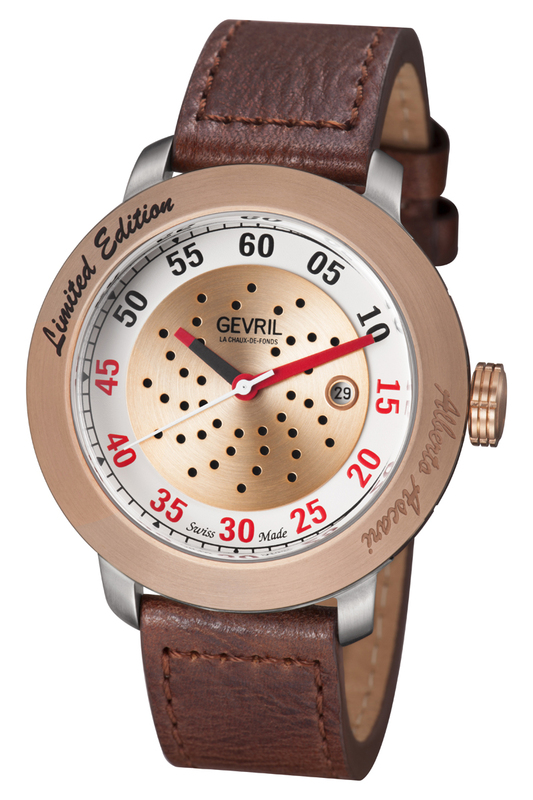 The movement is housed in a 316L stainless steel case. This boldly masculine timepiece features a stunning racing inspired dial that emulates the perforated brake discs found in Alberto Ascari’s Ferrari racecar. The rotor powering this superb timepiece was inspired by a vintage Ferrari steering wheel and can be viewed through a scratch resistant sapphire exhibition back. 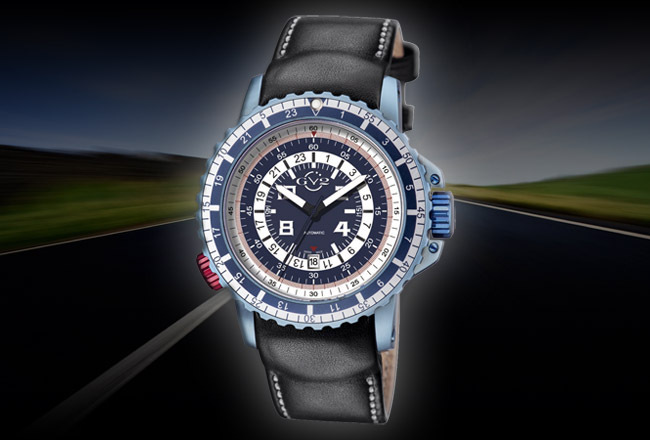 The racing theme continues on the side of the stainless steel case with a series of ribs that are reminiscent of a racing engine’s cylinder head. These authentic racing elements have been masterfully combined to create a unique tribute to one of the world’s legendary drivers. Strictly limited to 500 pieces worldwide, the Gevril Alberto Ascari Limited Edition Timepiece comes in a special limited edition box, complete with a certificate of authenticity and a tribute booklet filled with images from Alberto Ascari’s storied career. 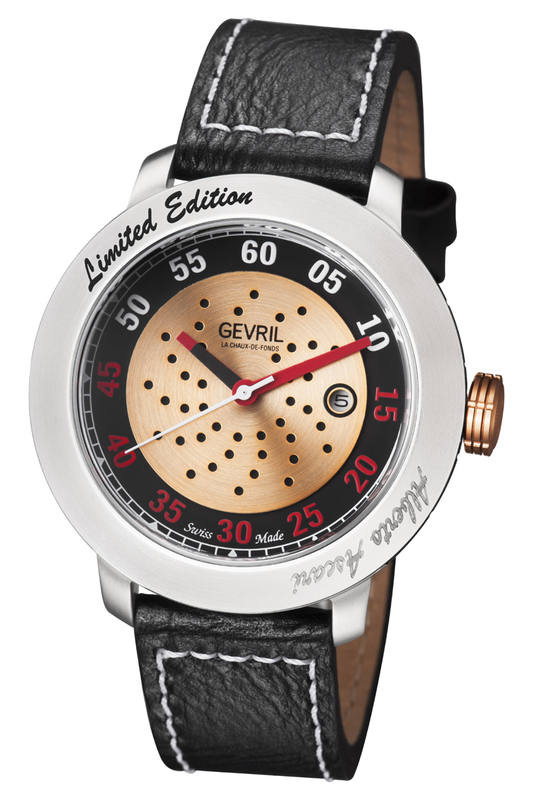 Like all Gevril timepieces, the Alberto Ascari Limited Edition carries a two-year manufacturer’s warranty. If you’re a racing fan, a watch aficionado, or both, you’re going to want to add this unique timepiece to your collection. With an oversize, easy-to-read minute scale on the chapter ring, dramatic red and white numbers, a classic three-hand configuration, and a convenient date window at three o’clock, an Alberto Ascari timepiece makes an ideal driving or sports watch for any enthusiast. 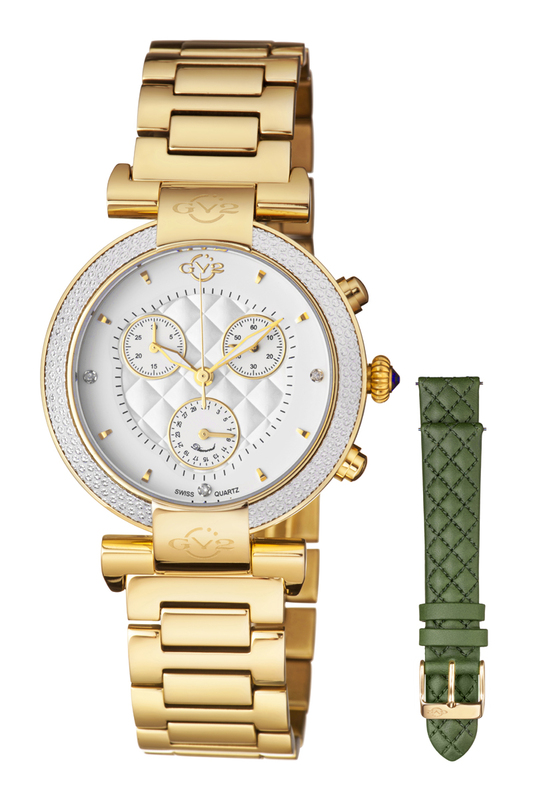 To obtain one of these superb limited edition timepieces, you’ll have to act fast. 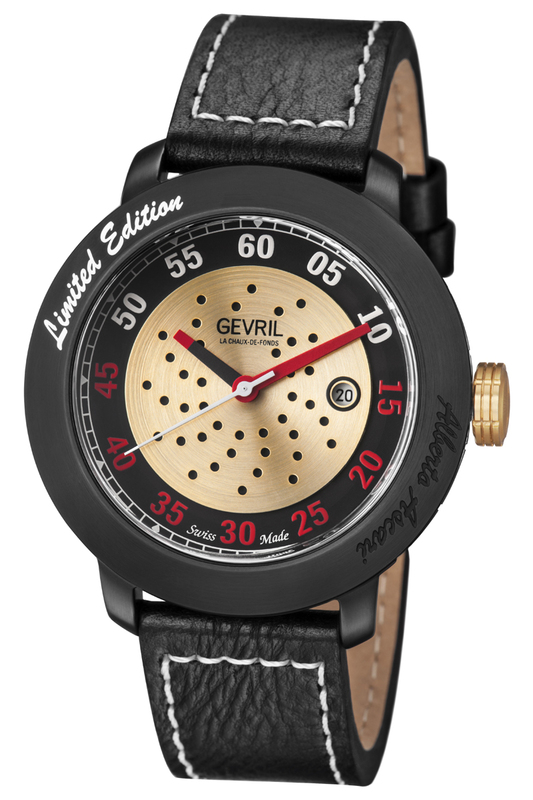 We urge you to contact your authorized Gevril timepiece dealer today and reserve your own Alberto Ascari Limited Edition Timepiece immediately. There are only 500 of these beauties available worldwide and when they’re gone, the race is over.